Offering luxury accommodation in the centre of the CBD, Adina Apartment Hotel Melbourne is just 2 blocks from Bourke Street Mall and features easy access to public transport. The hotel is also surrounded by a wide range of shopping and dining options as well as attractions such as Crown Casino, Chinatown and Queen Victoria Markets. Conveniently located opposite Melbourne's Convention Centre, Adina Apartment Hotel Melbourne Northbank offers sophisticated accommodation just a short stroll from the Yarra River, Botanic Gardens and National Gallery. Home to a wide range of onsite facilities, the hotel is also close to shopping and dining options. Surrounded by some of Melbourne city's most iconic attractions including the MCG, Yarra River, Botanical Gardens, Flinders Street Station and Federation Square, Adina Apartment Hotel Melbourne on Flinders offers a contemporary range of deluxe apartments with all the mod cons and convenient onsite facilities. Offering deluxe accommodation in the heart of the city, Citadines on Bourke Melbourne features modern self-catering accommodation and an outstanding range of onsite facilities. Surrounded by shopping, dining and entertainment, the hotel also enjoys easy access to attractions via public transport. Located within walking distance of shopping, dining and premier entertainment precincts, Crossley Hotel Melbourne offers deluxe accommodation near Parliament on Little Bourke Street. Home to a great range of onsite facilities, the hotel is close to major attractions such as Chinatown and the Melbourne Cricket Ground. Enjoy luxurious accommodation and an unprecedented range of onsite facilities at the Crown Metropol Melbourne, part of the Crown Entertainment Complex. Located opposite the Melbourne Convention and Exhibition Centre, the hotel is close to shopping, dining and major attractions of the CBD and Southbank. Immerse yourself in the comfortable and stylish surrounds of Crown Promenade Melbourne. 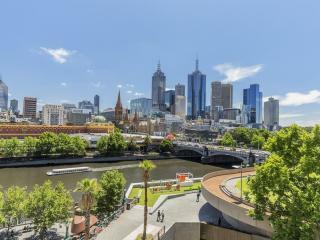 Enjoy an outstanding range of onsite facilities and an unbeatable location on the banks of the Yarra in Southbank. Crwon Promenade Melbourne is surrounded by shopping, dining and entertainment, and has direct access via air bridge to the Crown Entertainment Complex. 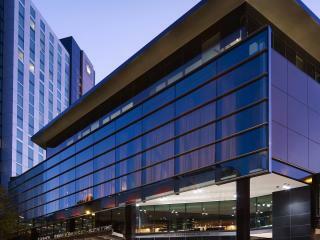 Offering elegant accommodation on the Yarra River, Crowne Plaza Melbourne boasts an excellent range of onsite facilities just metres from the Southbank Entertainment Complex. Set in the heart of Docklands, the hotel enjoys easy access to the Crown Casino and major attractions including Etihad Stadium and the Melbourne Aquarium. Ideally located in the centre of the city, DoubleTree by Hilton Hotel Melbourne - Flinders Street offers modern accommodation opposite the Yarra River and Flinders Street Station. Enjoying stunning views of the city and its historic architecture, the hotel is just minutes from shopping, dining, Crown Casino, Chinatown and Federation Square. Enjoy all the comforts of home in the convenience of the inner city without the price tag at Fraser Place Melbourne. Enjoying an ideal location close to culture and entertainment hubs, the hotel offers modern accommodation surrounded by shopping, dining, entertainment, attractions and public transport. Centrally located in the heart of Melbourne's central business district, Harbourview Apartment Hotel offers comfortable and functional accommodation. Enjoying a convenient range of onsite facilities, the hotel is just minutes away from popular attractions like the Crown Entertainment Complex. Located in Melbourne's financial hub, Holiday Inn Melbourne on Flinders offers modern 41/2 star accommodation close to popular tourist attractions such as the Southbank Entertainment Complex, Crown Casino and Sealife Aquarium. Close to public transport, the hotel also enjoys a fantastic range of onsite facilities. Located in the heart of Melbourne city on Lonsdale Street, Hotel Grand Chancellor Melbourne boasts deluxe accommodation, an impressive range of onsite facilities and impeccable personal service. Conveniently close to the city's famous shopping and dining, the hotel is also just minutes from major attractions including Chinatown. Enjoying a fantastic location in the heart of Melbourne's shopping, dining and entertainment hub, Hotel Lindrum Melbourne MGallery by Sofitel offers stylish accommodation and a great range of onsite facilities. The hotel is also conveniently located close to popular attractions and sporting venues. Ibis Melbourne Hotels and Apartments offers stylish yet affordable accommodation in the heart of the city, close to all your holiday needs. Nestled amid Swanston and Elizabeth Street, the hotel enjoys easy access to public transport, shopping and dining, entertainment and attractions including Crown Casino and the Victoria Markets. Conveniently located in the centre of the CBD, Ibis Melbourne Little Bourke Street offers comfortable accommodation and a handy range of onsite facilities within walking distance of bars and restaurants, boutique and shopping arcades, nightclubs, theatres, Crown Casino, Docklands Stadium and more. Offering modern accommodation in a stunning heritage building, Ibis Styles Kingsgate Hotel is located on the western side of the CBD within walking distance of a range of shopping, dining and entertainment. Close to public transport, the hotel is also just minutes from attractions such as the Queen Victoria Markets and Melbourne Aquarium. Offering comfortable, modern accommodation in Melbourne's CBD, Mantra 100 Exhibition enjoys a convenient range of onsite facilities and is close to a range of activities and attractions. 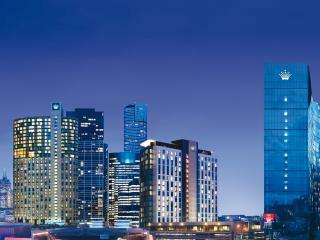 Offering easy access to public transport, the hotel is also close to shopping, dining, the MCG, Crown Casino and more. Conveniently located in Melbourne's city centre, Mantra City Central offers self-catering apartment accommodation in an iconic heritage building with all the modern comforts. The hotel is surrounded by public transport, shopping, dining, activities and attractions. Located just metres from some of Melbourne's hottest nightlife, dining and retail, Mantra Southbank Melbourne offers deluxe accommodation surrounded by the city's arts and entertainment precinct. Enjoying easy access to public transport, the hotel is also close to major tourist attractions. Boasting luxurious accommodation in a fantastic location in Melbourne's CBD, Mantra on Little Bourke is conveniently situated within walking distance to the city's famous shopping precinct. Surrounded by public transport, the hotel is also close to popular attractions such as Crown Casino, theatres and the Melbourne Museum & Art Gallery. Located in the heart of the Melbourne CBD, Mantra on Russell offers luxury accommodation in the midst of Melbourne's famous shopping and dining, entertainment and nightlife. Home to an impressive range of onsite facilities, the hotel is close to public transport, major sporting venues and tourist attractions. Combining the relaxation of the park with the convenience of the CBD, Mantra on the Park offers modern accommodation on the outskirts of the city. Enjoying a great range of onsite facilities, the hotel is conveniently close to public transport, shopping, dining, entertainment and attractions. Centrally located in the CBD, Mercure Melbourne Treasury Gardens offers a choice of 164 rooms and suites surrounded by boutique shopping, dining, and major attractions including the Rod Laver Tennis Centre, Melbourne Cricket Ground, Parliament House and Federation Square. Offering comfortable and convenient accommodation, Mercure Welcome Melbourne also enjoys a great range of onsite facilities including walk through access to shopping. The hotel is also close to public transport, shopping and dining options and major activities and attractions. Located above the high end Australia on Collins shopping precinct, Novotel Melbourne on Collins offers deluxe accommodation and excellent onsite facilities. Just minutes from the Princess Theatre, Melbourne Cricket Ground, Federation Square and the Rod Laver Arena, the hotel is also close to public transport. Conveniently situated in the centre of the city, Oaks on Collins offers sophisticated studio accommodation surrounded by shopping, dining, entertainment, activities and attractions. The luxury hotel boasts a fantastic range of onsite facilities with studios reminiscent of the New York style. Offering deluxe studio and apartment accommodation on Melbourne's city fringes, Oaks on Lonsdale enjoys a range of onsite facilities, ideally located to take advantage of Melbourne's convenient public transport and fantastic range of shopping, dining, culture and attractions. Offering modern accommodation and an outstanding range of onsite facilities in the centre of the CBD, Oaks on Market enjoys easy access to public transport and is surrounded by a range of shopping, dining and entertainment options. Close to major tourist attractions, the hotel is ideal for a swanky city escape. Offering a stunning juxtaposition of modern accommodation behind a spectacular Heritage Listed facade, Pensione Hotel enjoys a convenient location in the city centre surrounded by shopping, dining, public transport, activities, culture, entertainment and popular tourist attractions. This Melbourne accommodation is ideal for those who just need a bed for the night and don't mind a small room for the value. Offering luxury accommodation in Melbourne's city centre, Punthill Flinders Lane combines the comfort of a modern hotel with the classic exteriors Melbourne is renowned for. The hotel also enjoys a great range of onsite facilities and is conveniently close to shopping, dining, activities and attractions. Located in the heart of Melbourne's inner city, just a short stroll from Chinatown and right next door to Her Majesty's Theatre, Punthill Little Bourke offers contemporary accommodation and a convenient range of onsite facilities surrounded by Melbourne's best shopping, dining, entertainment and attractions. Located in the heart of the city, Punthill Manhattan combines modern, chic accommodation in a unique warehouse style property featuring concierge services, laundry facilities and WiFi access. This Melbourne accommodation is close to all your CBD needs. Boasting a stunning location on the Yarra River, Quay West Suites Melbourne boast luxurious accommodation and an excellent range of onsite facilities all within close proximity to shopping, dining, the Southbank Promenade, the MCG, Southgate and a range of entertainment and activities. Located in the heart of the city near the picturesque Fitzroy Gardens, Quest Gordon Place offers modern accommodation and a fantastic range of onsite facilities. Set behind one of Melbourne's famous classic facades, the hotel is conveniently close to shopping, dining, Chinatown, the theatre district and more. Offering an accommodation experience like no other,Quest Grand Hotel Melbourne features luxury accommodation in one of the most spectacular heritage listed buildings in Melbourne. Beautifully restored, the hotel transports you back in time to the 1880's while maintaining all the modern comforts. Built in 1913, the Heritage Listed Rendezvous Hotel Melbourne combines luxurious modern accommodation with all the charm of Melbourne's historic buildings. Close to public transport, shopping and dining options, the hotel is also just minutes from iconic attractions including Crown Casino. Offering luxury accommodation on St Kilda Road, Seasons Botanic Gardens is surrounded by shopping, dining, activities and attractions and is right next to the Shrine of Remembrance in the Royal Botanic Gardens. 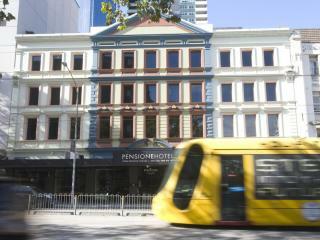 Close to public transport, the hotel enjoys excellent facilities and is close to Southbank and South Yarra. Offering luxury accommodation in the heart of the popular shopping, entertainment and dining precinct, Sofitel Melbourne on Collins features an outstanding range of onsite facilities. Set at the Paris end of Collins Street, the hotel is close to theatres, the tennis centre, Melbourne Cricket Ground (MCG) and other attractions. Just minutes from the Bourke Street Mall, Somerset on Elizabeth offers luxury accommodation and a full range of onsite facilities. Close to public transport, fantastic shopping and Melbourne's famous food and nightlife scene, the hotel enjoys easy access to popular tourist attractions. Offering 5 star accommodation at the Paris end of Little Collins Street, Stamford Plaza Melbourne boasts an exquisite range of onsite facilities. Bringing together Melbourne's best, the hotel is surrounded by the famous shopping, dining, entertainment and cultural precincts as well as major tourist attractions. Boasting a fantastic location in the centre of the CBD, The Sebel Melbourne Flinders Lane offers stylish accommodation and facilities surrounded by a wide range of dining options, the city fashion district, entertainment precincts and popular attractions including Crown Casino and the MCG. Offering modern accommodation and a full range of onsite facilities, The Swanston Hotel Melbourne Grand Mercure is conveniently located in the centre of the city close to the shopping precinct, dining options and major activities and attractions including sporting arenas, Queen Victoria Markets, Bourke St Mall and more. As its name suggests, Travelodge Hotel Melbourne Southbank is located in the swanky Southbank precinct opposite the CBD across the river. Home to comfortable accommodation and convenient facilities, the hotel is ideally located for exploring and enjoying Melbourne's shopping, dining, galleries, gardens and popular attractions. Offering a convenient location opposite the Etihad Stadium and the Southbank precinct, Vibe Savoy Hotel Melbourne offers stylish accommodation and a great range of onsite facilities surrounded by shopping, dining and attractions including the Crown Casino and the Melbourne Convention Centre.